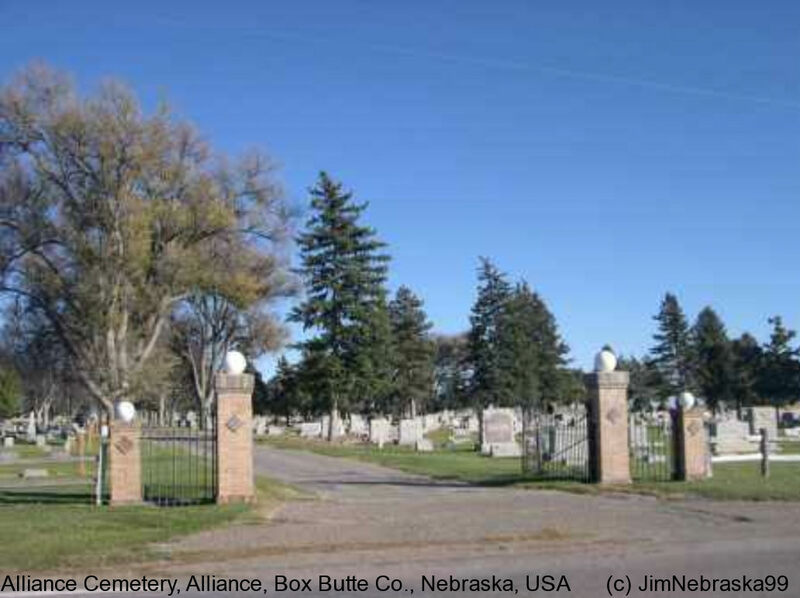 This cemetery is located one mile east and 1/2 mile north of Alliance, Nebraska in Box Butte County. The plot of ground was first bought by the Alliance Cemetery Association on April 11, 1890. On August 10, 1915, the city of Alliance bought the land from the Association. The cemetery is still being used and is in very good condition.